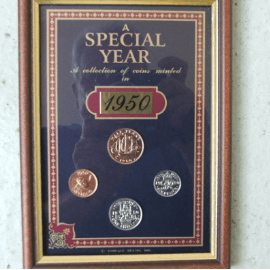 1950 Coin Collection gift ideas are one penny, Half penny, Farthing and Six penny coin. 1950 Coin Collection. If this is a special gift you can pick the delivery date after you checkout.